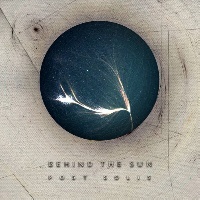 “Post Solis” is the premiere album by indie band BEHIND THE SUN. This South Carolina band takes definitive heavy influences from OPETH and MASTODON for a Prog-eqsue Death Metal with a smooth, Groovy twist. Prog Metal doesn't always get love from die-hard lovers of gritty roaring brutality, but the subgenre has a calculated exactness that complements any style. If you don't think you are a fan of Prog Metal, BEHIND THE SUN might just change your mind by easing you into the idea before pelting you with fantastic Death Metal and leave you battered. A brief intake of breath before the plunge is all the warning you get before we take “The Fall”. Inhumanely harsh vocals savage the ears but the balm comes in the form of the smooth, groovy guitars and precise drum work. Here is where I felt MASTODON’s influence the most. It wasn't long before I was banging my head and also tapping my foot; it’s rare that a song pulls on several of my music-lover heartstrings but I was so entirely into this track that even at eight and a half minutes long, I still wanted a lot more. There was so much going on but nothing felt out of place or unwanted. A smooth build to roaring howls and rhythmic guitar while the drums take center stage is how we are introduced to “Pangaea”. Somber and subdued, “Scrawlings of the Architect” is a short yet sweet track that leads seamlessly into “Periapsis”, which hits all the right highs and lows. A Groovy section repeats before crashing back into powerful Death Metal. “Laniakea” likewise begins slow and haunting, before becoming fierce. This is really where the OPETH influence that seeps through the cracks comes bursting through in full. Every instrument has its own part to play and while it is brutally and undeniably Death Metal, the individual sections harmonize to create a phenomenal ending with an obligatory fadeout. Given its highly polished, great production values, you lose the gritty, grinding, unkempt sound that some might be looking for, but I think BEHIND THE SUN more than make up for this with talent and great writing. Every note shines through with a bleak black light like a solar eclipse; don't try to stare too long at “Post Solis”, you might just be blinded by it. I can't wait to see more from BEHIND THE SUN and will certainly be buying the album come next payday.